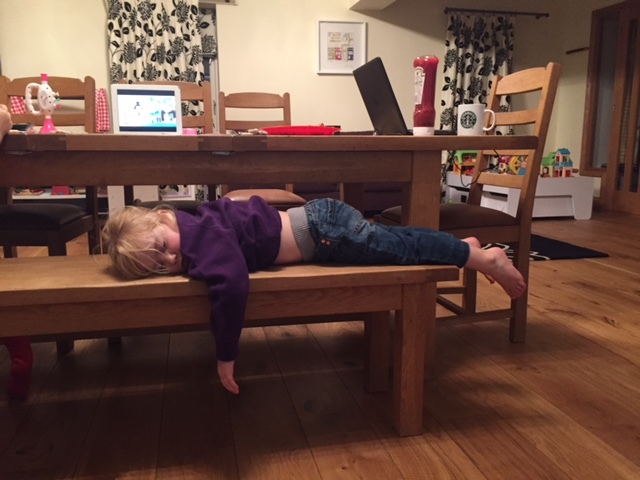 She had been at nursery all day rather than just the afternoon – but I think it had tired her out! She was supposed to be eating her tea! This is my entry for Wicked Wednesdays – do pop across and see other people’s photos…..
It’s hard being little! Must say she looks comfy, kids can sleep in the funniest of places. I love how kids can just sleep anywhere! It must be amazing! If I did that I’d probably wake up with a crooked neck or a splinter so something. Great photo… did she finish her tea?